Take your food presentation up a notch! 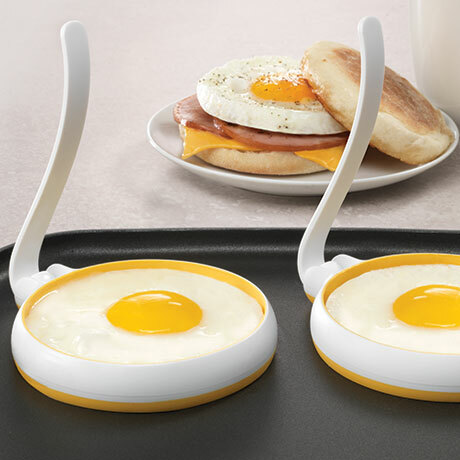 For beautifully fried eggs, eggs benedict and breakfast sandwiches! Heat resistant to 275 degrees. Top rack dishwasher safe. Do not use in microwave. 4 3/4" x 4"